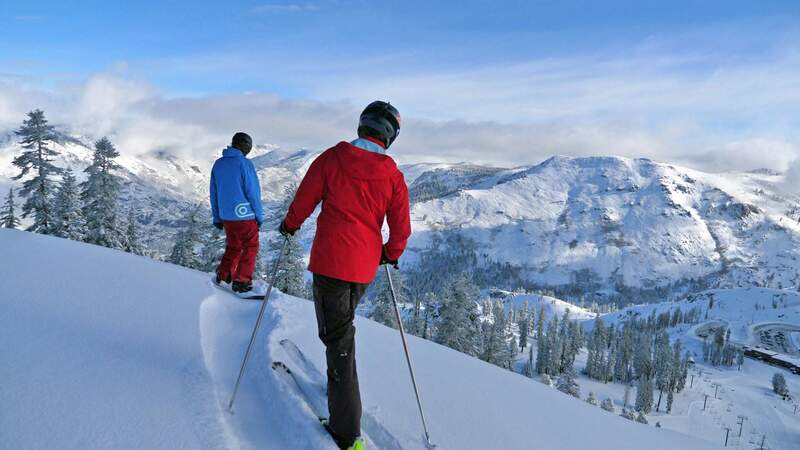 Bear Valley is about PURE MOUNTAIN FUN and serious about snow. As a pass holder, you can rest assured that we will be ready for winter. With automated snowmaking and a brand new 6 pack, Bear Valley is your ticket to a great time on the slopes. Whether you cherish powder days in world-class terrain, kickin’ it up in our terrain parks, or if you just prefer a beautiful corduroy finish in a place where people know your name and are glad you came – Bear Valley is for you! One Pass, One Price, All the PERKS! Need to renew your locker? Receive a 10% discount when purchasing your PEAKS Pass! *You must purchase your locker in the same transaction as the PEAKS Pass to be eligible for this discount. 19/20 Restricted, College and Military Season Pass sale coming soon! Are you a Forever Pass holder? Make sure to renew your pass before APRIL 30TH !! Looking to ride 3 or more days during the remaining for the 18/19 Winter Season? Spring Season Passes are on sale NOW! Make Bear Valley YOUR Play Ground! Monday – Sunday | 9 a.m. – 4 p.m. When is my 19/20 Season Pass Valid? Your 19/20 Season Pass is valid at the beginning of the 19/20 season. 19/20 Season Passes are not valid for the remaining of the 18/19 season. Planning on riding three or more days in the 18/19 season? Check out our Spring Season Pass sale! How do I buy/renew a season pass? Head on over to shop.bearvalley.com and get your passes online! This is the easiest and fastest way to get your pass! Give us a call and we'll take care of you over the phone. If you do not get through, we are busy fielding other calls and customers. You can leave a message and a specialist will return your call as soon as possible. How do the age groups work? What if my birthday puts me into a new age group? Are there any restricted dates? What is Resort Charge and where can I use it? A Resort Charge is attaching a credit card to your season pass so that you can make purchases on the mountain without your credit card. All we would do is scan your pass and your credit card is on file to make a purchase! Why is my contact information important? Keeping your contact information up to date will ensure your liability is squared away and you will receive exclusive Season Pass Member information. What is the difference between PEAKS and Polar? The difference is in the Perks, discounts, and savings! For a comparison, click the link below. To print a new pass, the fee is $25. PEAKS members get 1 free re-print, per season. If you forgot your pass and need a ticket for the day. We can print you a "Forgot Season Pass" Lift ticket for a small fee. Does my pass include Preferred Parking? PEAKS Season Pass Members get FREE Preferred Parking! *Parking is subject to availability. Forever/Polar Season Pass Members do not receive Preferred Parking. Buddy Tickets - Where, When, and How? Buddy tickets will be attached to your profile. Make sure your email address is up to date as we will provide information on when they will be available and how to get them. PEAKS members will receive 4 buddy tickets for the season! Forever/Polar passes do not receive buddy tickets. ALL Season Pass Purchases and Renewals are FINAL! I bought/upgraded my pass, can I use my discounts on a previous purchase? Pass discounts are not retroactive. Purchases made will receive a discount based on the current pass at time of product purchase (teams, lockers, etc). While we will be happy to upgrade your pass type, discounts will not be retroactively extended if a customer decides to change pass type.